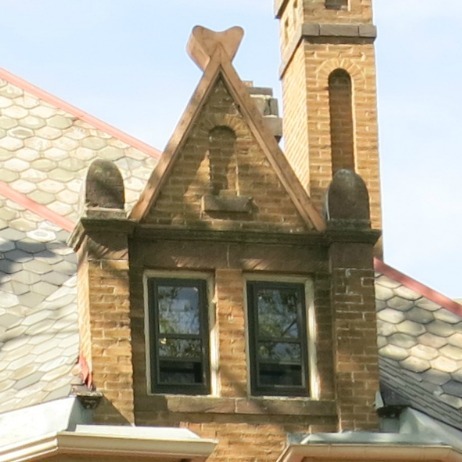 Roof finials are the decorative devices that cap the point of a roof. 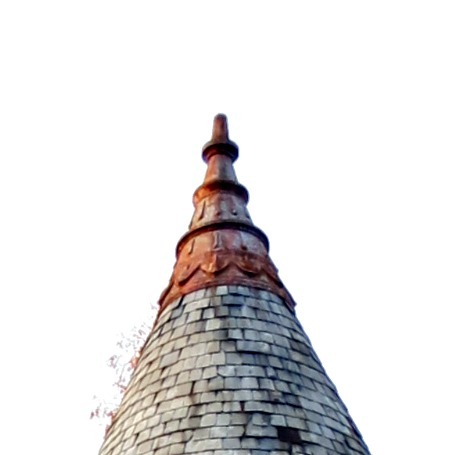 Finial meant final, and it was the final piece to go on a roof. 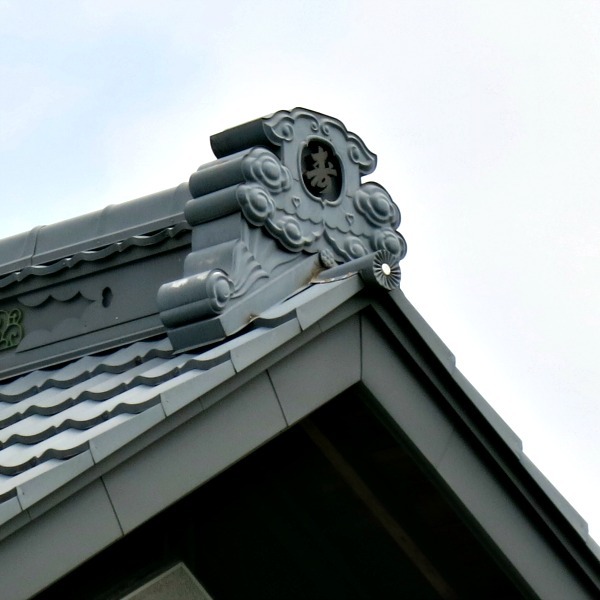 With today's composite tiles you can just wrap a tile over the peak of a roof. Back in the day, when all tiles were either ceramic or slate this wasn't an option. If you had a round roof, like on a tower, you could run all your tiles up to a point, but you couldn't cover that point, so there was an opportunity for water to enter at the top. To cover this point something had to be shaped to fit the roof. As it works out, it is helpful if you can place a heavy weight on the tiles. This will help hold the tiles in place. In certain cases, depending on the construction of the roof, the weight will also help hold the supporting structure in place. Thus finials are often rather large and stout. 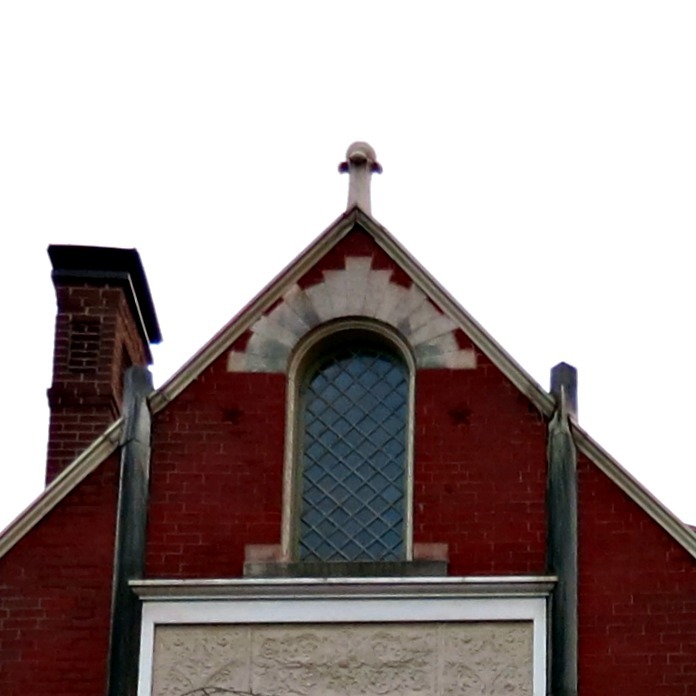 These roof finials had a functional purpose, but with the finial occupying such a prominent position it was natural to make it look nice. Thus finials are also a decorative item. Finials can be made out of just about anything. 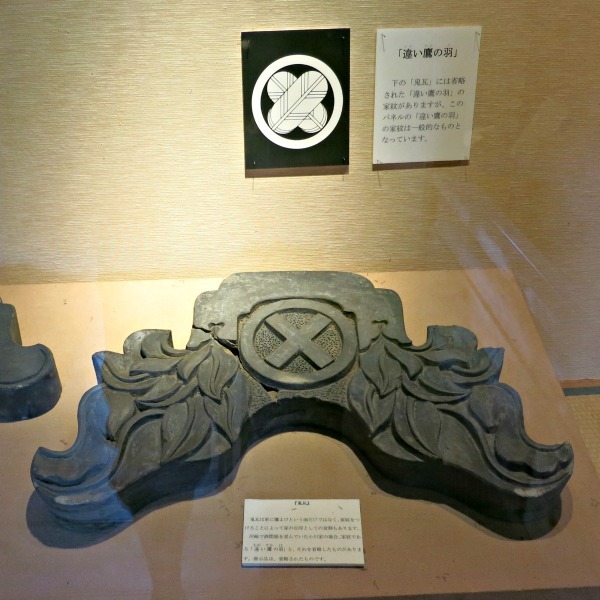 Carved stone, carved wood, and cast bronze would be traditional choices, but these days they are likely to exist solely for ornament's sake and be made up of thin, stamped metal. 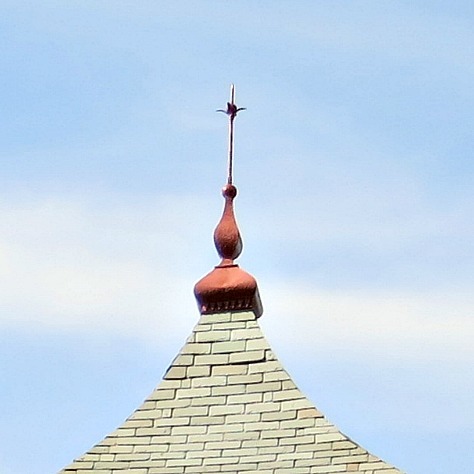 Lightning Rods sometimes assumed the role of a finial. I have several antique lightning rods on my roof. One doubles up as a weather vane. Unfortunately these are just about ruined. The lighting rod was iron and there is little left but the rust. These lightning rods did last 90 some years, but I am envious of those who have stone finials, which will last a lot longer than 90 years. The term finial also applies to other "final" decorative items. Thus the end of a curtain rod is often capped with a finial. The sides of a formal, wood, dining room chair, often have finials projecting up off the top of the back. Banisters often have a finial topping the supporting posts. While the term denotes its role as a cap, the various finials often look similar. The finials of furnishings and curtains copy the designs of architecture, and sometimes architecture copies the designs of furniture.